The iPhone 7 Plus includes dual camera lenses, with the secondary lens allowing for 2x optical zoom with a 10x digital zoom modifier. 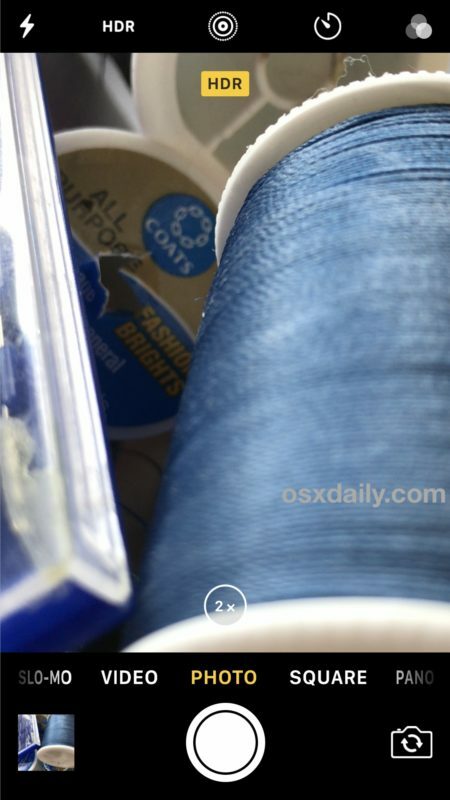 Using the 2x optical zoom feature on iPhone Plus is excellent and easy, but it works slightly different from zooming on a regular iPhone camera, which is accomplished with a pinch gesture. What is optical zoom? What is digital zoom? Before getting into the specifics on how to use optical zoom on the new iPhone Plus, let’s briefly cover the differences between optical zoom and digital zoom. Optical zoom uses the actual lens optics of iPhone camera to bring the subject being photographed closer. In this case, the lens is the secondary 2x zoomed camera available on the latest iPhone Plus models only. Digital zoom uses software processing to bring the subject closer, similar to how you can zoom into a picture on your computer or iPhone after it has been taken. All iPhone cameras can use digital zoom. Because optical zoom relies on the actual hardware lens itself and therefore receives more data (pixels) to compose the picture, the image quality from optical zoom pictures are far superior to those where digital zoom is used, which reduces the amount of data (pixels) used to compose a picture. Remember, you must have a dual camera equipped iPhone 7 Plus (or better if you’re really special) to have access to the 2x optical zoom lens. You can tap the 2x button again to return back to regular 1x camera mode. HDR, Live Photo, camera flash, the camera self timer, filters, and video recording also work with the 2x optical zoom lens, but it’s worth mentioning that even if you set the camera to preserve settings, the camera app will default to opening to the 1x camera every time it is launched, meaning you will need to toggle between the 1x and 2x camera as needed. You can use digital zoom from 2.1x all the way to 10x, but again, digital zoom uses software to capture closer images and thus always offers reduced image quality. However, because the starting point for digital zoom is the optical 2x zoom camera, the image quality will be slightly better than a standard zoomed image would be on a non-dual camera equipped iPhone. 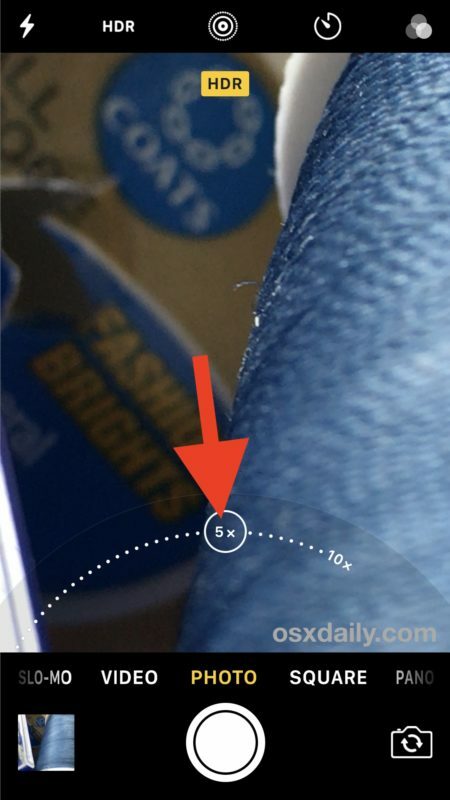 And yes, you can also use the pinch to zoom method like you can on other iPhone cameras without optical zoom lens capabilities if you have developed that habit. It’s highly likely that additional future iPhone models will include the dual lens capabilities that are currently seen limited to the Plus model, but for now you’ll only have access to this great ability with the iPhone 7 Plus. The other option for users with other model iPhones is to buy a third party lens kit like the Olloclip, which offer similar features through hardware attachments and generally work quite well. If I understand correctly, zoom lenses allow a range of focal lengths, say, from 24mm to 80mm. With such a lens, you would have access, for example, to a 25mm focal length and a 52mm focal length and an 84mm focal length. With the 7 Plus, you have access to only two focal lengths–Apple’s standard wide-angle (28mm) and then twice that focal length (56mm). There is no 29mm focal length nor 55mm focal length. In short, why is it called “zoom “? Because “crop” and “resize” won’t sell the thing. Right, the second iPhone camera lens has larger focal which makes it ‘zoomed in’ compared to the default and standard camera angle lens. 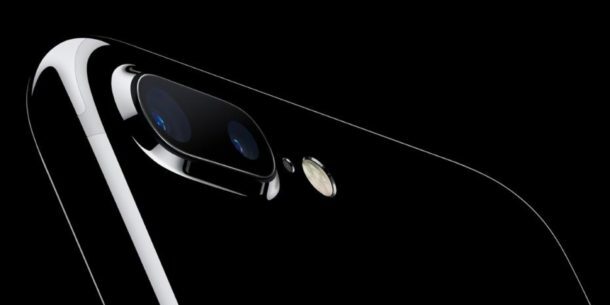 Both iPhone 7 Plus camera lenses are 12 megapixels, whereas the front camera is 7mp. The optical zoom is just a different focal length, so calling it otherwise is mostly marketing which Apple is good at, but it is useful to have the two camera lenses. Well, You forgot to mention that to use the 2x lens, you need to in the adequate light setting. If you try to use it in low light situation, the “2x button” will just be a digital zoom button and the main camera (1x lens) will be used as a 2x digital zoom instead for brighter image. Because the 1x lens has a 1.7f aperture while the 2x lens has a 2.8f aperture which is much smaller. My iphone 7 plus does not focus if I zoom in 2 X or more. Can anyone help please?